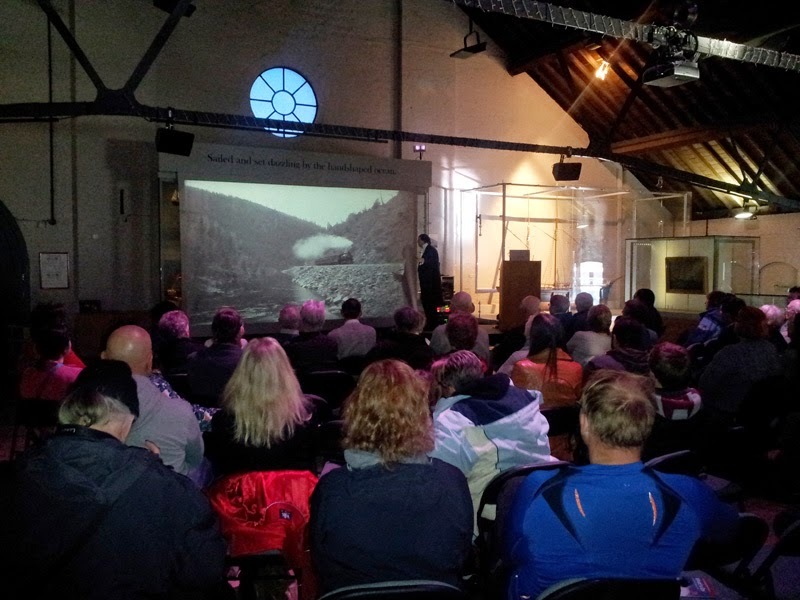 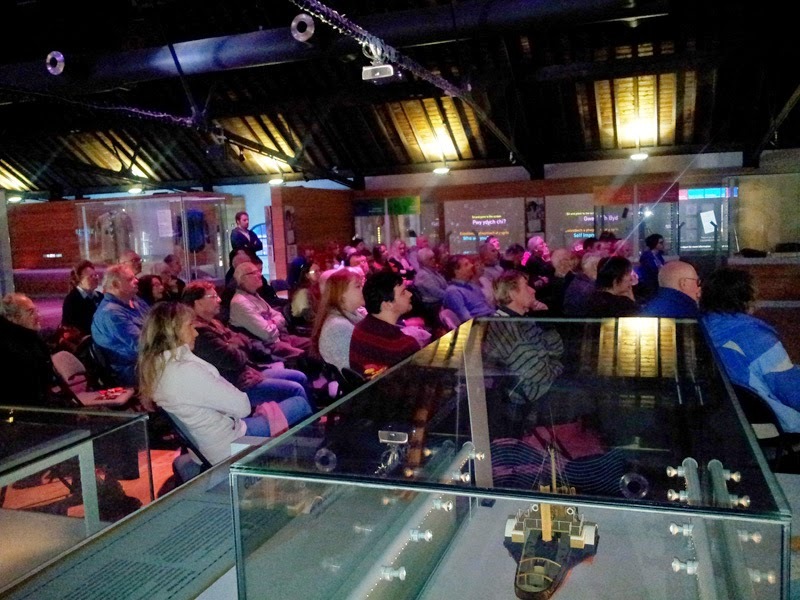 Andrew Lound carried on the tradition of delivering a superb dramatic presentation of the Tunguska, 1908 event, for the Christmas lecture at the National Waterfront Museum in Swansea. 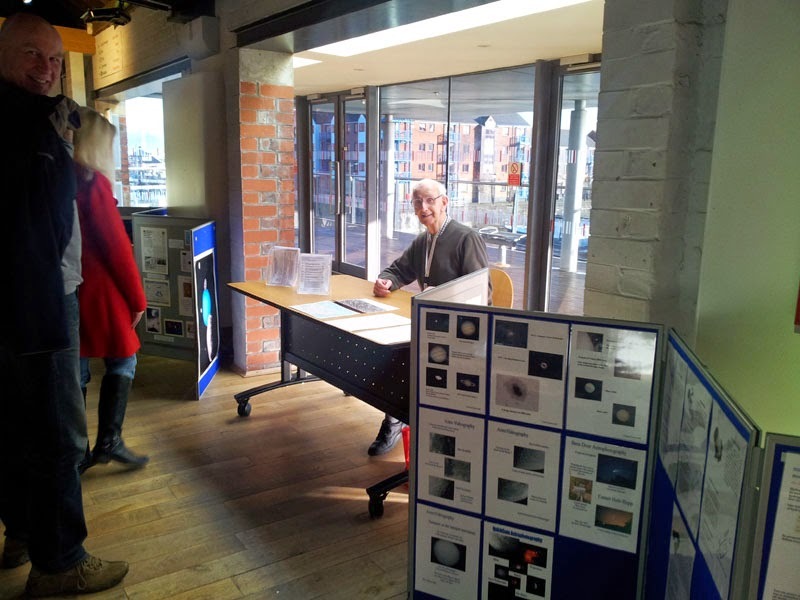 Brian Stokes, the Swansea Astronomical Society Chairman, manned the reception desk in the Museum before the start of the lecture. 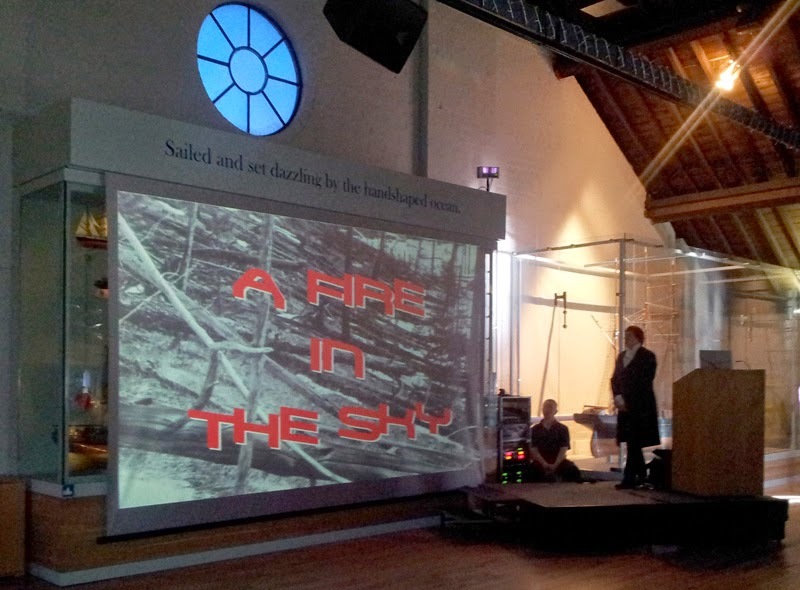 Click on an image to get a larger view.